When you have any sort of business there is one thing you must do to survive and thrive: advertise. That’s how you get the word out about your products and services to people who want to buy them. For online businesses, this marketing takes place online — where else, right? With your online marketing efforts, you’ll generate leads, build your email list, get direct sales, contact previous customers to get them to buy again… there are all sorts of ways you can use advertising to build your business. And there are all sorts of marketing channels you can use. The great news is you don’t have to spend a bunch of money on paid advertising. In fact, there are plenty of ways to you can take advantage of free online advertising. This definitely comes in handy when you’re in the startup phase and don’t have much, if any, money to spend on marketing. Or perhaps you’re testing a new business idea and don’t want to risk your money on something unproven. These free online advertising methods can actually be quite effective. Of course, what you don’t spend in money you will pay for with effort. You’ll have to put in some time and hard work to make these free online advertising methods worthwhile… but the pay off will be huge. With that said let's take a look at some of the top free methods to promote your business online. Social media sites like Facebook, Twitter, YouTube, and Instagram have become major ways for companies large and small to reach prospects and customers… and, more importantly, build a relationship with them. With social media a company or brand can facilitate the process of having a prospect know, like, and trust them enough to buy. And you can compel people to continue to buy products as well — they become fans… and tell others about you. The great thing is that you can do it for free. You can join Facebook and even start a business page on Facebook for at no cost so you can interact with your customers. It’s the ultimate free online advertising method. Perhaps most importantly: Engage with your audience. If one of your “followers” asks a question or comments on a post, be sure to reply right away. After you've gotten some good results with free Facebook marketing methods you'll want to expand into paid advertising opportunities as well. With YouTube you can join and post videos related to your business for free. Best practice here is to offer useful advice and information. It could be a how-to video related to your niche or a video of your product in action, for example. Always fill out the description with details about your business, as well as a link back to your website (be sure to include the http:// so that your link is clickable). Include that in the video too — in fact, add a call to action at the end of your video encouraging people to visit your website for more information. If you're creating videos and uploading them to YouTube you should upload them directly to Facebook as well. 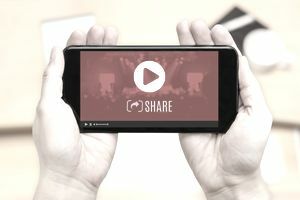 While you're at it, add the video to your blog too to kill three marketing birds with one stone. If your product or service would help business owners or companies… if it’s a business-to-business (B2B) type product, you should also be active on LinkedIn. Here you can network with potential customers, post articles and links… it’s a great way to get the word out about your business. Again, it’s free online advertising. They key to really leveraging LinkedIn is to make personal connections and develop real relationships with people that can potentially turn into business leads, sales, or referrals. If you're a great networker offline then LinkedIn will magnify your networking abilities by a huge factor. Although Facebook has stolen a bit of the thunder of forums, forum marketing is still a great way to interact with prospect and customers. A forum is an online discussion group about a specific niche or industry. The idea here is that you join the forum and read through past posts. Get an idea of what people are talking about and the issues that are concerning them. You can start posting your take on the issue, offer advice and useful information, and in general be an active participant. The next step is delicate. You don’t want to just start posting links and ads to your website and products. The forum folks will consider it spam and might even ban you. Instead, include a link to your website in your profile and signature. You could even make casual links and mentions to in some of your posts to your product or your website. But don’t be “sales-y” or “pushy” no matter what you do. Getting listed on popular social sites like reddit could also be a great way to drive traffic to your website and turn some free online advertising into real sales. Reddit has very specific categories, or sub-reddits, dealing with just about any interest or niche you can think. Again, join the discussion and link to your product once you’ve been around awhile and people know you. All of the above advice can be applied to Facebook Groups which is a great free marketing method as well. Another great way to engage in free online advertising is to start a blog. You can include text content, photos, and videos about important topics in your niche. Offer useful advice and information, like how-to tips, news about your industry, and more. The important thing with a blog is to post regularly, several times a week is the best-case scenario (if you're really limited in time or don't like writing then try to commit to an at least once weekly schedule or outsource your content). You’ll grow your blog audience by posting your blog on social media, mentioning it in forums, and, once you’ve been at it awhile, you’ll get free traffic through search engine optimization as your site sits higher in the Google rankings. The blog will help people get to know you and your business (and its products and/or services). You’ll become a trusted authority in your niche. And that, eventually, will turn your blog visitors into paying customers. Once you have a bit of experience and a track record, you can also offer to do guest blog posts on other people’s blogs. The blog should be in a related niche – you want to make sure the audience is interested in what you have to say. Again, you can include a link to your own blog or website. Of course, you will have to reciprocate by letting others do guest posts on your blog. A final note on blogging, anytime you post new content be sure to use all the methods above to promote your new content. Podcasts are a very popular way for entrepreneurs to get exposure and free online advertising. You can even make money with a podcast. You can start your own podcast and/or appear on the podcasts of others. It could be as simple as you talking into a microphone with your thoughts on your niche. You could offer advice, answer questions that come in via email… the sky is the limit. If you appear on somebody else’s podcast you could do an interview. In either case, always make sure to tell listeners how to find you online so they can check out your website. Make your podcast available for download on your blog and/or website, as well as on the major podcast services like Apple’s iTunes. Your podcast should, of course, be a free download. Check out these top podcasts that entrepreneurs listen to if you want to see examples of how it's done. Content marketing is the name of the game these days. And it’s a great channel for free online advertising. Basically, there are websites where you can post articles — if they accept them — Entepreneur.com, Medium.com, and more. And you can include a link back to your site. The article should be well-written, useful, and about a topic in your niche. These article sites don’t take just anything. But once you get on the radar of their editors, you can be published multiple times. In this way, you can get your name out there in front of web surfers and build your authority as an expert in your niche. One thing to keep in mind, you don't necessarily have to be published on a major media website to have success. You can and should target smaller niched publications, websites, and blogs that reach your target audience. The audience will be smaller but much more responsive. Another form of free online advertising are question and answer sites like Quora. Here people post questions – on just about any topic you can think of — and then the community of users post answers. You could become one of those answer people. You could also find topics related to your niche and then comment on them. To make it effective free online advertising, make sure your profile is in-depth and shows you are an expert and include links to your website and social media accounts. When starting an online business, you’re looking for ways to save as much as you can. And using these free online advertising methods is a great way to get attention of the marketplace and build your reputation… and then turn that momentum into sales. Once you've started to drive traffic and generate sales online you'll seriously want to consider expanding into paid advertising opportunities to reach even a larger audience more quickly.